The Decastar 42nd edition is over, but will stay in our memory forever ! This Sunday 16th of September around 6:25pm, the French decathlete Kévin MAYER, world champion, broke the world record with 9126 points. Twelve women and sixteen men started this Decastar, ready to give the best of themselves to finish this season in a great way and offering to the audience a fabulous show. They were joined by French team athletes from the French athletics federation, one of them in every events (except in the 800m and in the1500m). World record, personal bests and season bests were broken ! As for the women, the heptathlon podium was a tough fight. In the end Carolin SCHÄFER the german won with 6457 points ! 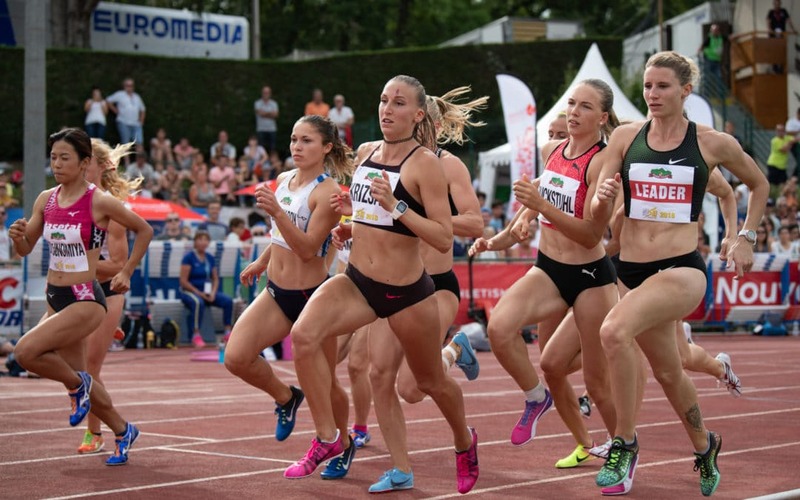 With this score she won the Combined Events IAAF Challenge for the 3rd time in a row. Geraldine RUCKSTUHL (SUI) finished 2nd with 6391 points, new personal record and new national record. She’s just 10 points ahead of Katerina CACHOVA the Czech finished in the 3rd place with 6381 points. Our French heptathletes Esther TURPIN and Diane MARIE-HARDY finished 8th with 5898 points and 9th with 5869 points. As for the Decathlon, Kevin MAYER’s success is historic ! He fisnished in the first place in 7 events out of 10 (for the high jump he got the same height as Ilya SHKURENEV, just one jump more missed by Kevin at 1m99). He broke his personal record in the 100m, in the long jump and the javelin. The german Arthur ABELE, European Champion, came in the second place with 8310 points. He won like her compatriot the IAAF Combined Events Challenge. The podium is completed by Tim NOWAK who broke his personal record with 8229 points. As for the french, Ruben GADO finished 5th with 7957 points. He started very well his decathlon by breaking his record in the 100m and the long jump. Bastien AUZEIL scored 7818 points, Jeremy LELIEVRE is in the 9th place with 7329 points and the last of our French decathlete Florian GEFFROUAIS got back to the competition for the Decastar and finished 11th with 7187 points.